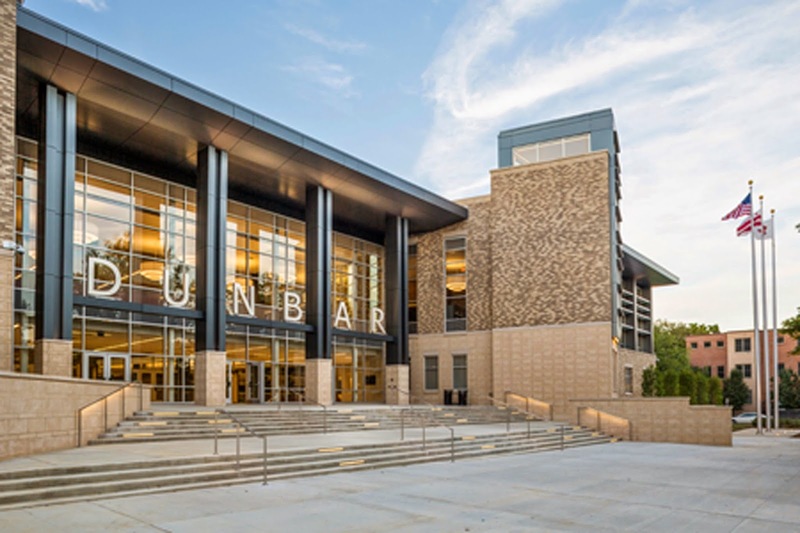 The cost to build a new Dunbar High School, even though the city's high schools, including Dunbar, are mostly severely underenrolled was almost $130 million. Despite the lack of need for the new building--a definition of unsustainability--the project won awards for sustainability from the US Green Building Council. The latest talk about public funding and land for a practice facility for the Washington Wizards basketball team and the report by the DC Auditor earlier in the summer about problems with school construction contracting, reminds me that, unlike most every other city and county in the United States, the City of Washington doesn't have an open, transparent, and integrated and comprehensive planning system for capital improvements. Most places plan and budget for capital improvements in a parallel but separate process from the annual or operating budget. DC doesn't really do that. It does capital budgeting as part of the annual budget process. What that means often is that projects aren't adequately vetted or planned, and usually that means the many projects end up being wasteful or perhaps a poor use of public resources. For example, Montgomery County, Maryland distinguishes between two budgets: the operating budget (personnel, programs, and interest payments on debt) and the capital budget (construction projects including roads). The capital budget runs on a six-year cycle, but is updated annually. Baltimore County runs its capital budgeting program similarly. In those jurisdictions, the capital planning program is overseen by the Planning Board, which makes recommendations, based on an ongoing planning process, and public hearings. The recommendations are then forwarded to the County Legislature for final approval. However, in DC, the capital improvements program is not the only area of "public or civic assets" that is under-planned. Other areas include disposition of public lands, alley abandonments (usually for a private purpose), eminent domain actions, and tax abatements, all of which are handled by discrete legislative actions, rather than part of an overall program. While land disposition and eminent domain projects usually involve payment for the land and/or other public (community benefits), alley closures are almost never associated with payments or proffers ("Council oks GWU alley closing," Northwest Current), which fails to monetize for the public the benefits received by private parties. That is a practice that should change. Were DC to set up a comprehensive process for capital planning, management, and budgeting, I would include not just construction projects, but also land disposition, alley abandonment, eminent domain actions, and maybe even tax abatements, out of a recognition that these are the key elements of the city's capital assets, and should be managed in a cohesive and integrated fashion. To my knowledge (not as comprehensive as I make it out to be), I am not aware of a jurisdiction which has taken capital asset planning to such a level. Such a process should be supported through the development of an independent and objective review capacity. Many years ago there was an op-ed in the Boston Globe ("Make eminent domain fair for all") about eminent domain actions and creating a fairer evaluation process. The points by the authors are relevant to decisions about projects either wholly or partially undertaken by local governments. -- Requiring, as Justice Anthony M. Kennedy suggested in his Kelo concurrence, that any exercise of eminent domain for economic development have a primarily public purpose rather than a merely incidental one. -- Requiring the government to demonstrate the public benefit through a full-scale financial analysis that could be challenged in court. -- Requiring that eminent domain not be used for a solely fiscal purpose and that it instead must be part of a comprehensive land use plan. -- Requiring that the affected neighborhood have adequate participation in the planning process, a right that would be backed up by state-provided technical assistance upon the neighborhood's request. (3) with a legal process, both administratively and through the court system, to challenge the determination. Another way to think about extending these guidelines from eminent domain actions to local government "undertakings" that involve significant public resources. 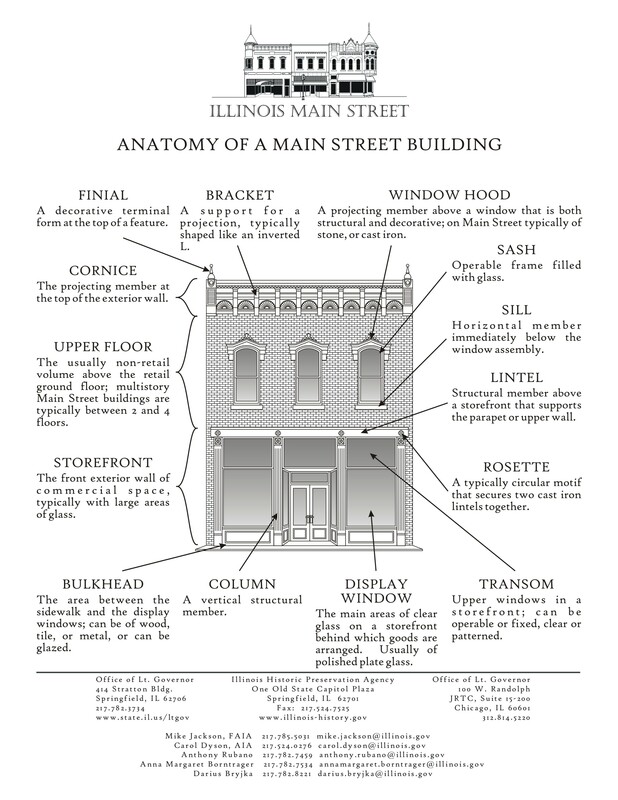 "Undertakings" is the term used in the National Historic Preservation Act, which requires that projects involving federal monies ("undertakings") must conduct a review with an aim to protect historic preservation resources that may be impacted. § 137.289 What is a Federal undertaking under NHPA? The Advisory Council on Historic Preservation has defined a Federal undertaking in 36 CFR 800.16(y) as a project, activity, or program funded in whole or in part under the direct or indirect jurisdiction of a Federal agency, including those carried out by or on behalf of a Federal agency; those carried out with Federal financial assistance; those requiring a Federal permit, license or approval; and those subject to State or local regulation administered pursuant to a delegation or approval by a Federal agency. a Local Government undertaking is a project, activity, or program funded in whole or in part under the direct or indirect jurisdiction of a local government agency, including those carried out by or on behalf of the local government or those projects carried out with significant financial assistance (payments, land, tax incentives, tax abatements, etc. ); or those requiring extra-normal approvals (e.g., a casino). Accounting is very simple. You write down flows of money. The trick is making the flows look like the actual business. And in a perfect world, as you said capital budgeting would be separate -- it is an investment in the future -- and subject to different pressures than the operating budget. And that is very very hard to do. Is an alley repaving capital or operating? Replacing light bulbs? And if you play enough with the categories, you can hide a lot more, and if you can hide, you can push around money and contracts to the "right" people. No easy answers here but you have to know what the game is to play. the wizards deal is more of the Ward 9 power push I have mentioned before- this game is being emphasized by people who do not necessarily live in the city at all but stand to gain/benefit from it all. Why aren't local arts organizations receiving the same amounts of money as these big rich sports teams owners? Now it seems that the sports owners are on the take and on a sort of rich man's welfare. yes, corruption. But corruption is a lot easier when the decisions are ad hoc. But yes, accounting is manipulable too. Although look at the problems in Richmond in getting a sign off on the CAFR. They are a year or two behind. But having stronger reporting requirements, like what GJF recommends, makes a lot of sense to me. Totally unrelated, would be with each capital project, an estimate of the total cost in a separate line item, when bond payment interest is taken into account. Wednesday's Current isn't online yet so I can't link to it, but essentially, Tom Sherwood's column is an indirect--through Jack Evans', mouthpiece for the Growth Machine--apologia for this latest billionaire boys club giveaway. "About half the funds, Evans said, will come from excess revenues collected for the convention center authority. Another chunk is already in a capital investment fund established for the St. E's campus. In other words, the city won't borrow any money to make this deal work, Evans said." Kinda makes my skin crawl just typing it. While I don't buy the argument that we need to be plowing more money into social services instead of practice facilities/sports stadiums, reading "Field of Schemes" makes me think that we've reached "peak sports spectacle" as an economically productive (if it ever really was) tool. "(Again, in DC the expansion in social service spending since williams era could have paid for a separate blue line several times over)"
@Charlie: Despite having been the Art Director of a major corporate finance journal for 20+ years (wherein I created all the charts and graphs--nowadays referred to as "infographics"--for the articles), along with counting a number of multinational banks and financial firms among my clients during that time, it all seemed like a bunch of smoke and mirrors to me. After nearly two decades of community volunteering, public finance and budgeting seem even more bogus and tenuous than the so-called private sector. I'd be interested to know how you came to your above conclusion, e.g. numbers, sources, etc. if you would be so kind. I have said I am working on a master planning concept of "a marshall plan for Wards 7 and 8". Part of it has to do with the utilization of public assets and their expansion into something more than the run of the mill. I thought that Mayor Gray's propopsal to build a new United Medical Center was a good idea. Not that the city would have done so, but if it were done incorporating a program comparable to the Focal Point/St. Anthony Hospital initiative in Chicago, it could have been truly transformative rather than just another hospital. One of the biggest problems with public and nonprofit investment EOTR is that it is "discoordinated" in that each agency builds its own stuff with no thought to coordination or leveraging. And usually the "civic" "assets" are constructed in really crappy locations that have limited ability for leveraging. The new library is a case in point. It's "just" a library, when the UK especially has incredible alternative robust examples of the kinds of public investments we need to be making EOTR. Plus Neighborhood Centers Inc. in Harris County, TX (it's basically a modern version of a settlement house). TheARC, as cool as it is, is not well located either. It's like the Pound Centre in what it does, but it's hard to reach. Another thing that could be done is the creation of a "social entrepreneurship" initiative so that under-served areas could get retail and food service options that are simultaneously job and business development programs, not unlike what the DC Central Kitchen does. Some restaurants, mostly in other places do this. LAYC owned a couple ice cream shops for awhile. There was an amazing ice cream social entrepreneurship program in Baltimore done by the Sylvan Beach Foundation. This would require innovative nonprofits, which are mostly nonexistent here. Other than the Central Kitchen, our most innovative nonprofits have thrift operations, like Goodwill. But Housing Works in NYC, Homeboy Industries in LA, etc. provide other examples. Another thing would be to create a public market as business cooperative and grocery, like the Midtown Exchange in Minneapolis, the Thai Town Marketplace in LA, the Mercado in Portland, etc. I'd locate it at the Anacostia Metro. You remind me that I meant to drop a proposal on DCHA about how to redevelop one of the projects there, by integrating into it the kind of amenities and community kitchen and other spaces that exist in high end properties. But the problem is the site is about 1 mile from Metrorail and more importantly, even though the site is a few acres, they're not willing to increase the density of the project, which is the only way to be able to pay for the provision of higher quality amenities. Economically, I am not sure it would make a difference, but in association with the creation of the 11th Street Bridge Park, I suggested the creation of a museum quarter at Poplar Point. And another model would be the Library Parks and other social equity inclusion efforts in Medellin, Colombia. in writing about this example from Roxbury, I think I suggested that a new Anacostia Library should have been built as a bigger education center, with space for community college and other higher education offerings. Or maybe I made that point in a private email. the point is that the DCPL system spent tens of millions on new east of the river libraries and didn't do much in the way of innovative development to bring these underserved communities more of what they need. DC 2002 budget: 1.8B for "human support", 1.1 for "education"
DC 2015 budget, 4.5B for human support, 1.3 for education"
I'm leaving off the money wasted on building schools in this period. And the extra 600M we are spending on public safety every year. So, in 13 years, we've had an increase of 2.5B in human support. And 200M in education. Let's take education off the table. Assume a linear growth, that is about a 200M a year increase. Go back to 2002. How much debt can you get a 200M a year? tough question because of massive interest rates changes and 9/11. Let's say 8 percent, which is high. That would have easily supported about a 2B bond or financing. Say a 20 year period. So you're right, probably not to build a separated blue line over, but 2B in 2002 dollars would buy you a lot of tunneling. And again, because of the joy of accounting, there is a lot of other social service spending which is hidden in the budget besides human support. Total budget increased from 5B to 13B. @Charlie: Many thanks! That makes the rationale/foundation (not yours, but DC's) for debt issuance a bit clearer. The bigger question of justification--is this really the highest and best use for public moneys--still remains. If it's not, then the city must be forced--through public pressure--to turn this sow's ear into a silk purse. @EE, well, my other takeaway is that really successful politicians understand budgets. And how to plan around them. The new head of DC water understands this. Fenty, Bowser, no. Grey, maybe. Williams made a conscious decision to move spending from infrastructure to human services, except for the baseball stadium. Maybe that was needed to buy DC 10 years of consensus. What we need for the next 10 years might be different. "my other takeaway is that really successful politicians understand budgets"
@Charlie- Agreed. Williams IS an accountant after all. From personal experience during his time here in Foggy Bottom, I can assure you his people skills are limited. As current head of Federal City Council, he is no doubt pulling some of the strings connected to our current mayor. If it all weren't so distasteful, it would be hilarious.